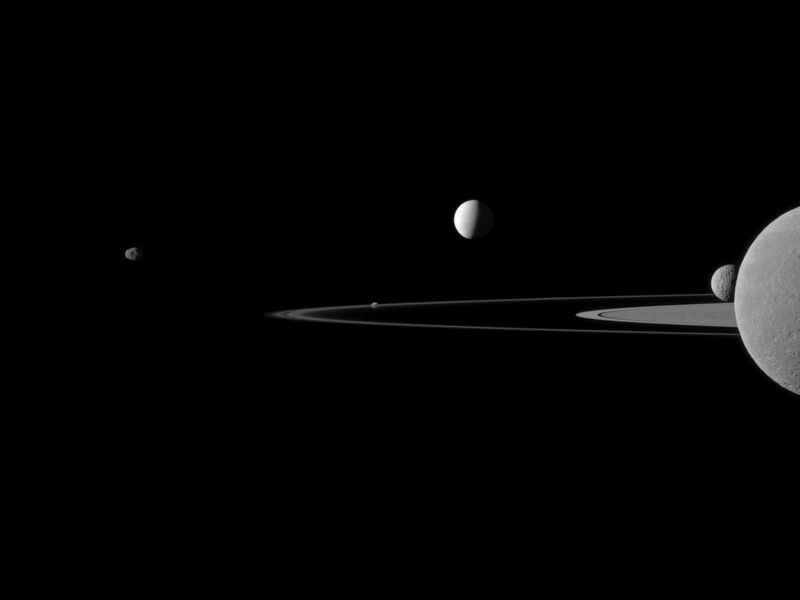 Janus (179 kilometers, or 111 miles across) is on the far left. 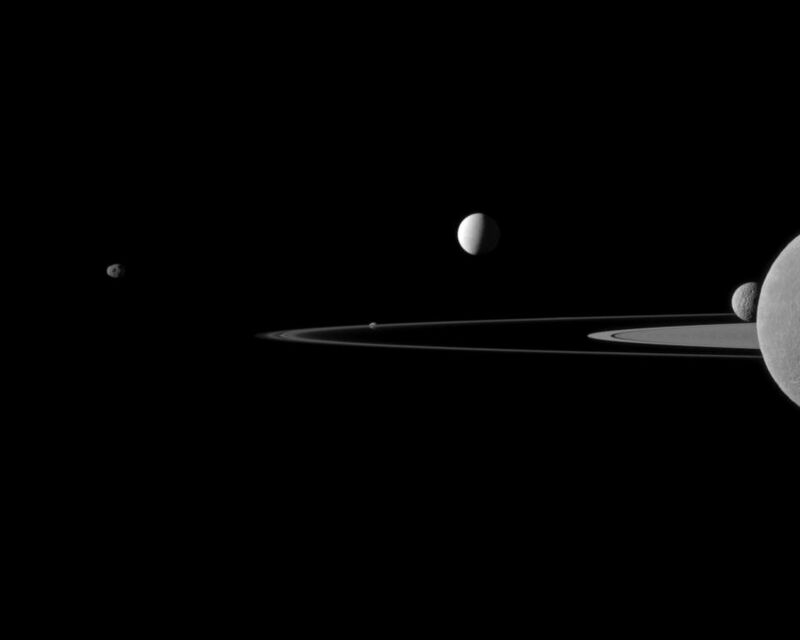 Pandora (81 kilometers, or 50 miles across) orbits the thin F ring near the middle of the image. 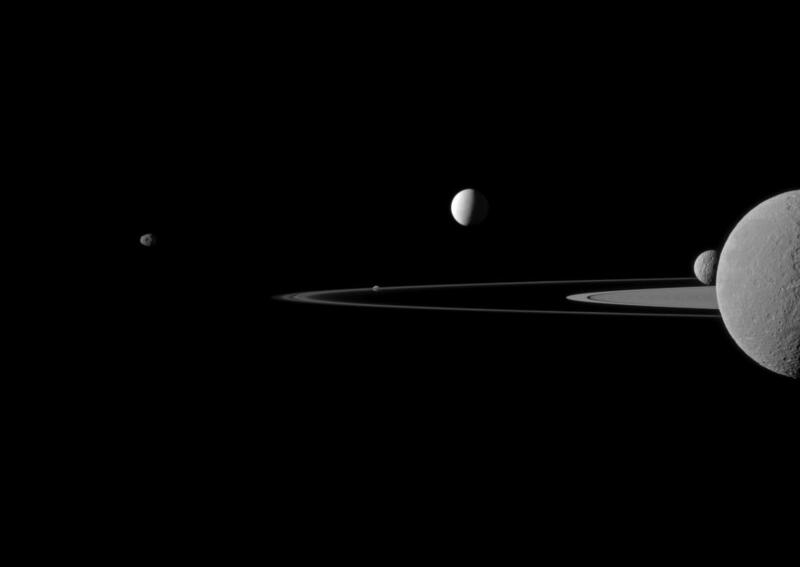 Brightly reflective Enceladus (504 kilometers, or 313 miles across) appears above the center of the image. Saturn's second largest moon, Rhea (1,528 kilometers, or 949 miles across), is bisected by the right edge of the image. 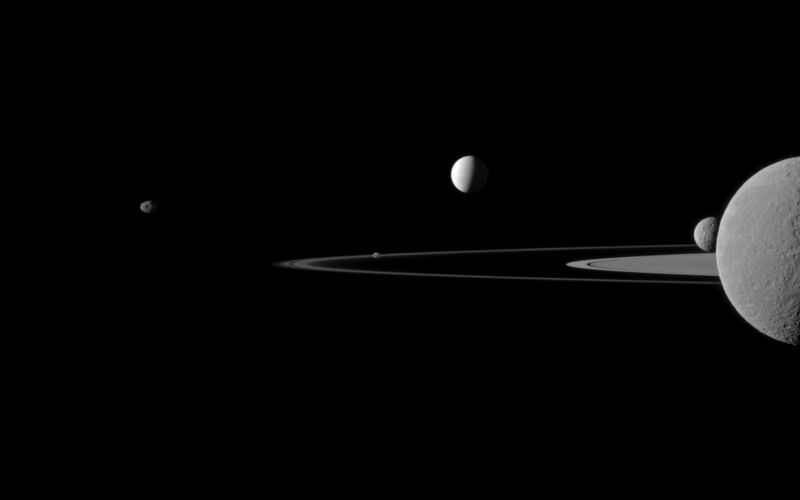 The smaller moon Mimas (396 kilometers, or 246 miles across) can be seen beyond Rhea also on the right side of the image.